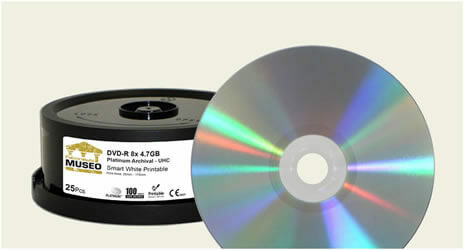 We know that JVC users expect the industry’s highest quality and lowest disc reject rate which is why Disc Makers recommends FalconMedia, the industry’s most reliable and highest quality blank optical media. Made under exacting Swiss quality standards by Falcon Technlogies, Inc., Falcon is the highest quality optical media manufacturer in the world, and FalconMedia is the top media brand. 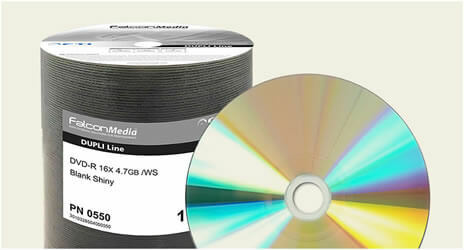 FalconMedia Pro blank DVDs are the most reliable disc media for home movies, blue prints, data sheets, designs, irreplaceable photos and technical documentation. Rated AAA in reliability and compatibility with its Certified Swiss Quality, Falcon professional blank DVD-Rs are designed and manufactured with premier quality materials, to guarantee longevity, durability, and unequalled performance and drive compatibility with the lowest failure rates. 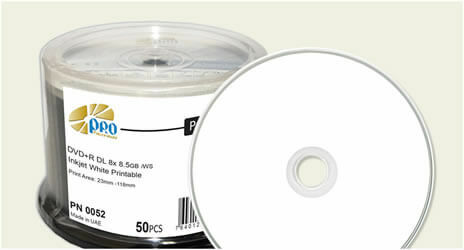 These discs also feature hub-printable surfaces to get maximum results from thermal, inkjet and silkscreened printers. 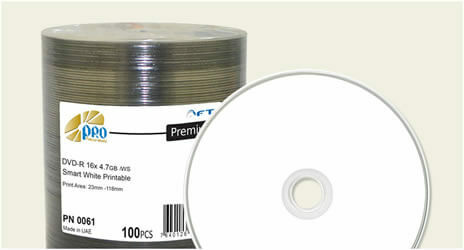 When transferring video to DVD-R, it is very important to use high-grade blank DVD-R media. FalconMedia offers dual layer options, perfect for HD movies, video authoring and mastering, with capacities as large as 8.5GB and writing speeds up to 8x. Falcon DVD+R DL are top grade media with low block error rates (BLER), guaranteed of the highest quality and drive compatibility, assuring impeccable playability on the majority of PC hardware and DVD players. 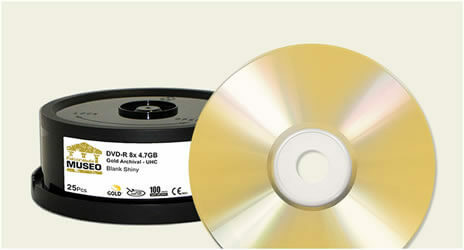 Gold Archival grade optical media is equally ideal for amateur and professional photo storage. 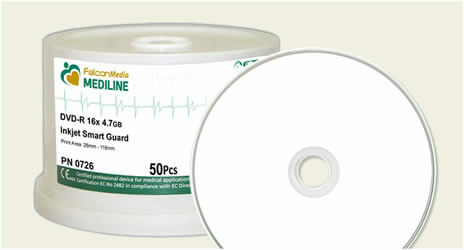 These DVD-Rs are specifically designed for the healthcare sector for the output of valuable images and data, with a guaranteed archival life span of 50 years. These blank discs offer the lowest error rates to ensure accurate recording and maximum read back on the large population of drives in the marketplace. Since 2006, Disc Makers has sold over 63 million Falcon Technologies International CD-Rs, DVD-Rs, and BD-Rs units to end users, and have used an additional 31.5 million units for our own in-house short-run duplication needs. We can say without a doubt that FalconMedia is superior to all other media brands, cost-efficient and tests favorably when compared to JVC Advanced Media. We guarantee your purchase 100% or your money back. Whether you are a government agency or a professional photographer looking for long term archiving, a musician burning discs to hand out at shows, or a religious group making weekly copies of sermons, quality, accurate recording, and playback compatibility are of utmost importance. FalconMedia is playback compatible with home stereos, disc drives and home DVD players from leading manufacturers, and compliant with +RW Alliance and DVD-Forum specifications. 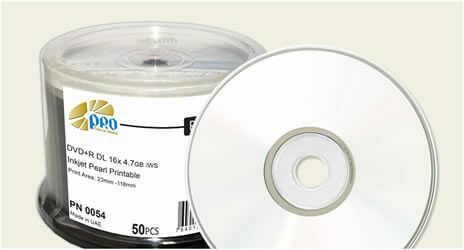 Falcon blank discs are the perfect choice for home movies, interactive training and multimedia presentations, music, film screeners, computer hard drive back-ups, gaming, studio production, and much more. 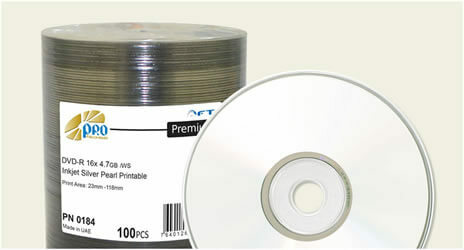 Since 2006, Disc Makers has sold over 63 million blank CD-Rs, DVD-Rs, and BD-Rs units to end users, and have used an additional 31.5 million units for our own in-house short-run duplication needs. We can say without a doubt that FalconMedia is superior to all other media brands, cost-efficient and tests favorably when compared to JVC Advanced Media.